Whether you are looking to take a cruise on a paved bike trail or an exciting off-road mountain bike ride, North Dakota has a route to meet your needs. North Dakota Parks and Recreation Department manages over 100 miles of bike trails around the state. Located in the rugged hills of the Pembina Gorge, lies North Dakota’s first and only mountain bike terrain course. The terrain course, which is the first of its kind in the state, includes beginner and intermediate trails along with a climbing trail. The course is open seven days a week. Users will need to purchase a trail pass in order to use the course, a daily pass is $7 and an annual pass is $35. 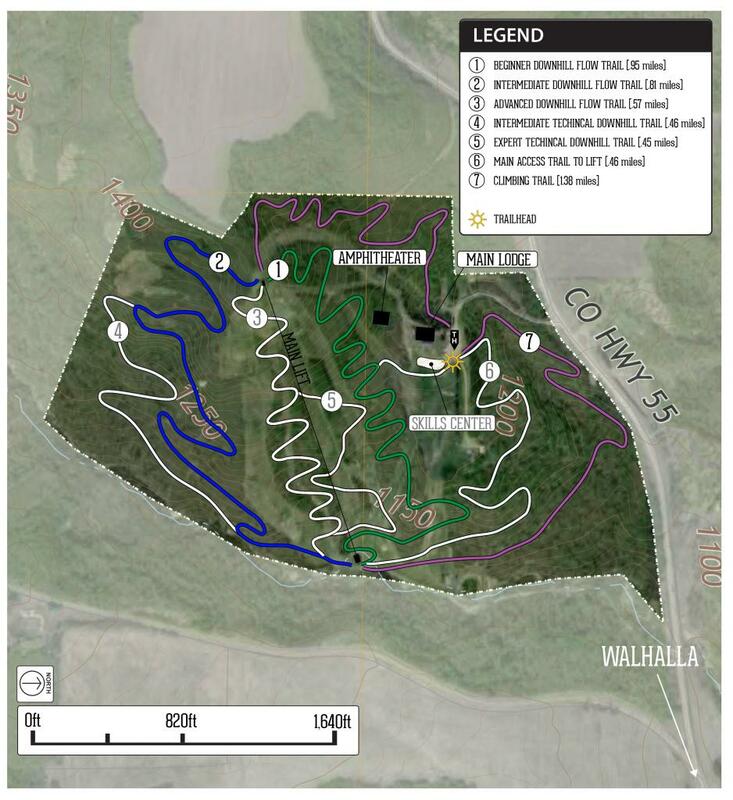 Future plans for the terrain course include the addition of four additional trails including an expert technical trail, advanced downhill flow trails, a skills course, and pump track. Fat Tire Bike rentals are available at Lake Sakakawea State Park and Fort Stevenson State Park. Rentals are $8/hour and $50/day. In partnership with local communities, the North Dakota Parks and Recreation Department has four parks that offer paved trails connecting users from state parks to cities. Missouri Valley Millennium Legacy Trail: This paved trail connects visitors of Fort Abraham Lincoln State Park to a number of historical, recreational, and cultural places along the Missouri River. The trail from the park into the City of Mandan stretches 2.9 miles. Bikers can access this trail at a number of spots along the park’s main road. Lake Metigoshe Paved Trail: This paved trail is an 11-mile loop that runs parallel to Lake Loop Road. Bikers can access this trail at the entrance of the park. Cavlandic Trail: The Cavlandic trail runs from the city of Cavalier to Icelandic State Park. The trail is 6.5 miles one way and provides users access to a number of amenities in the city of Cavalier. Washburn Discovery Trail: The 2.2 mile Washburn Discovery Trail begins in Harmony Park at the Lewis & Clark Interpretive Center. It is a certified Lewis & Clark National Historic Trail site. The concrete trail proceeds to Washburn's Riverside Park, taking in vistas of the Missouri River along the way. All North Dakota State Park and Recreation Area maps are available free on Avenza maps.